The back drop for this road race is the stunning Curragh in Kildare. Chip timed by JustRuns Events. 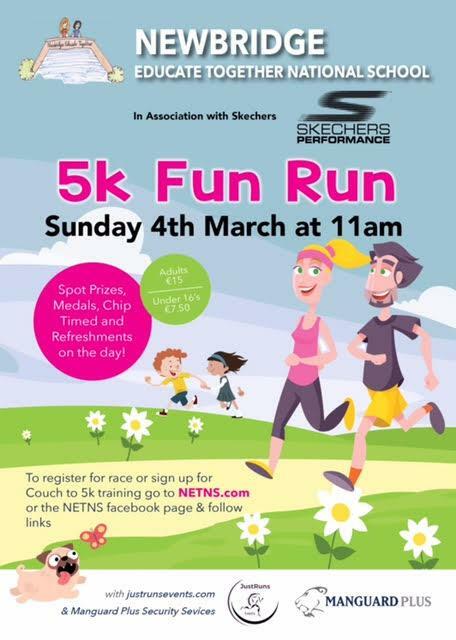 A fun filled morning is promised for all, with some great spot prizes, medals for all finishers, skechers goody bags and refreshments afterwards. This is definitely a date for your diary!